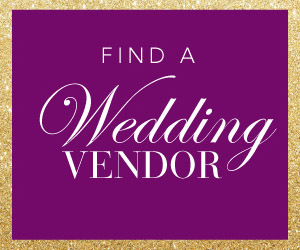 Lovelies, I have good news! 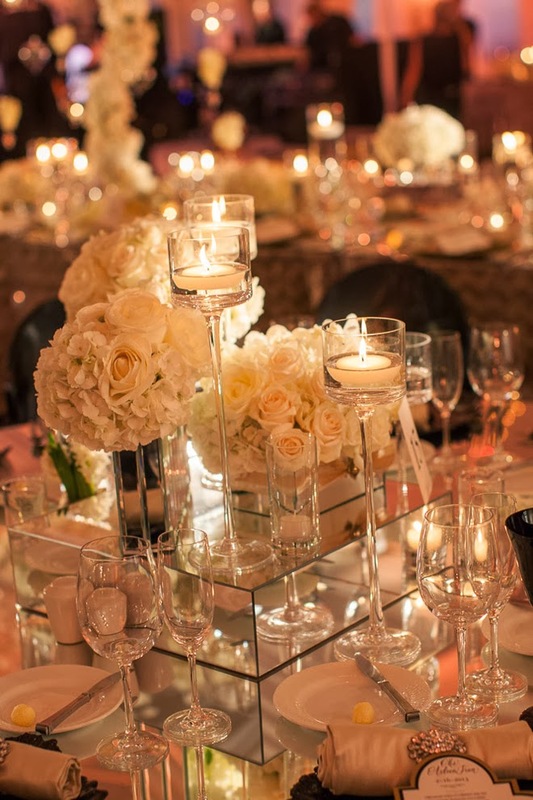 Today we’re continuing with the showcase of the best material we published in 2013. 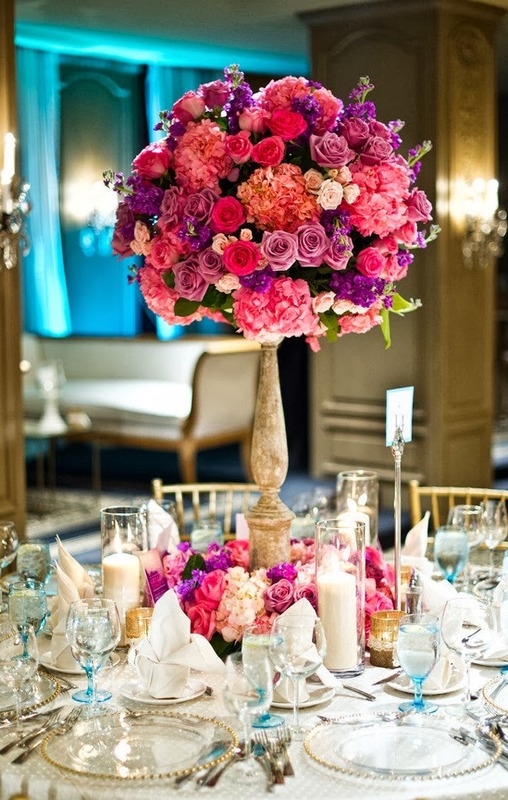 And what a better way to follow up our amazing feature on the Best Cakes of 2013 than with a parade of the most popular centerpieces of the year – and some of my favorites, too. 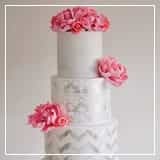 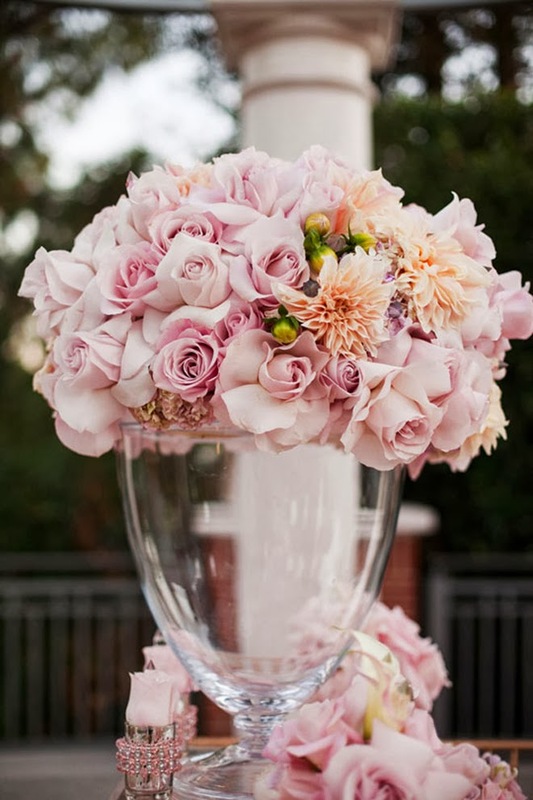 Yep, it’s pure floral eye-candy ones more here at Belle The Magazine, so settle in, relax and get ready to enjoy the Best Wedding Centerpieces of 2013. 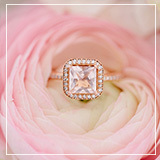 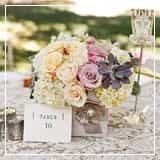 In case you are new to Belle The Magazine, allow me to introduce you to my monthly series 12 Stunning Wedding Cenetrepieces, where every month I gather the most beutiful centerpieces from around the web. 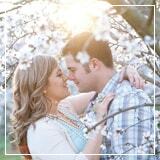 It is totally worth seeing. 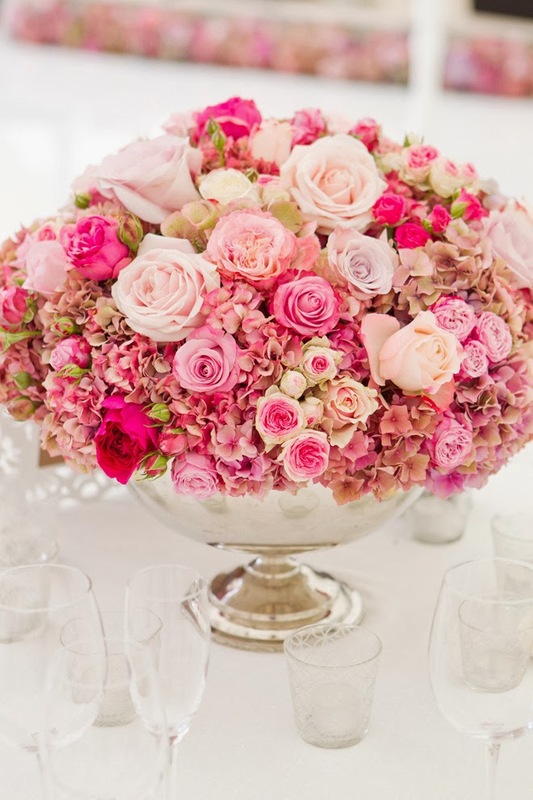 The following floral arrangements were originally featured on Part 14 and they became some of your faves this year. 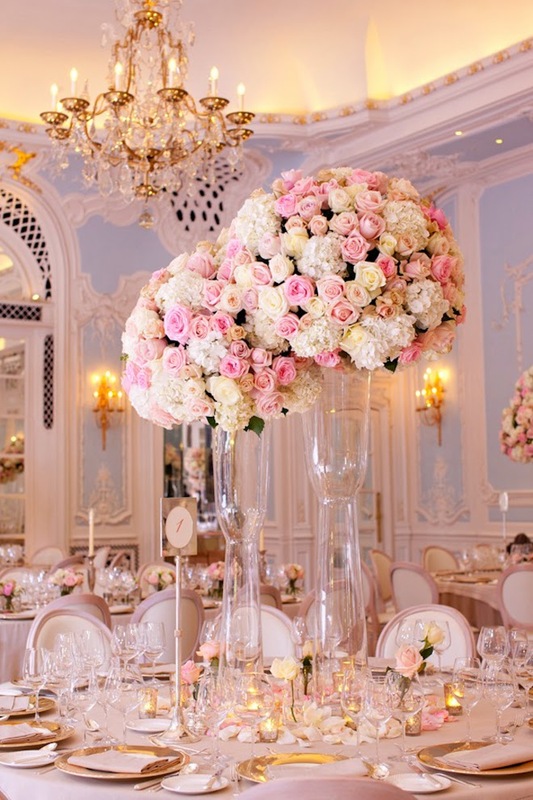 Inside Part 15 of 12 Stunning Wedding Centerpieces you’ll find these three breath-taking numbers that conquered the harts of many on Pinterest and Tumblr. 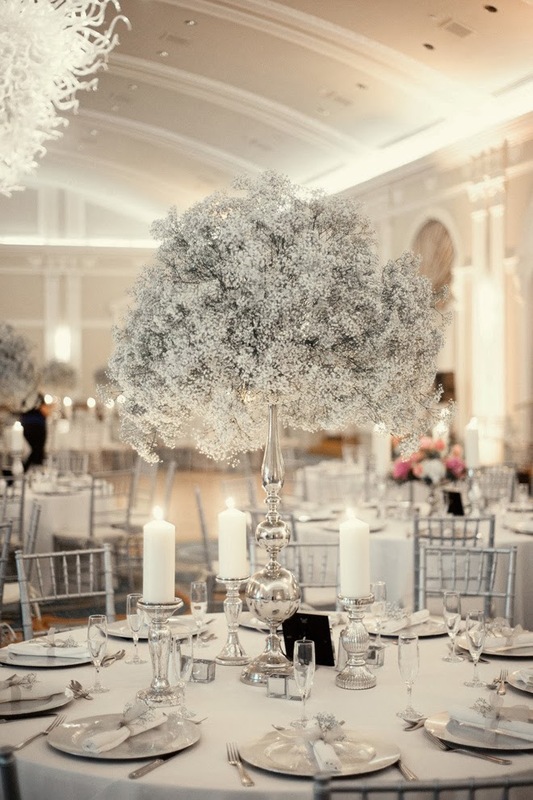 From 12 Stunning Wedding Centerpieces – Part 18 we have two steal-worthy floral arrangements that made headlines on Facebook and other social media channels during last year. 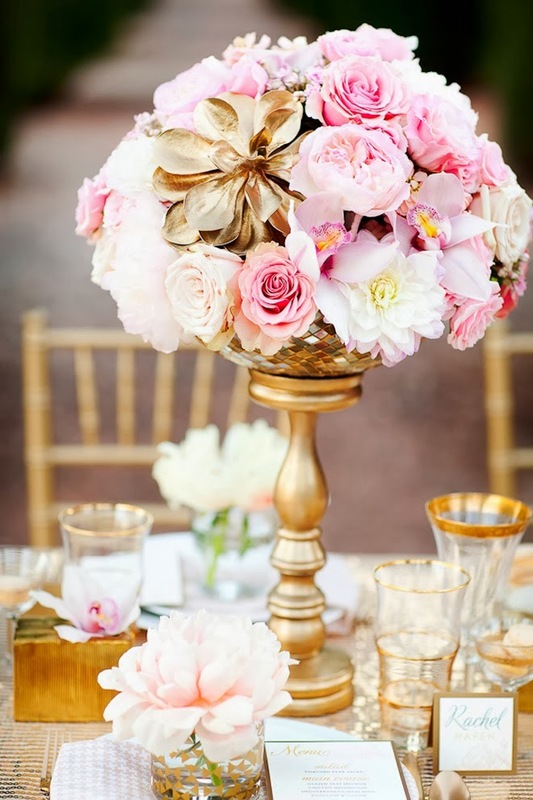 Sometimes real weddings is where you’ll find the prettiest centerpieces on this little blog. 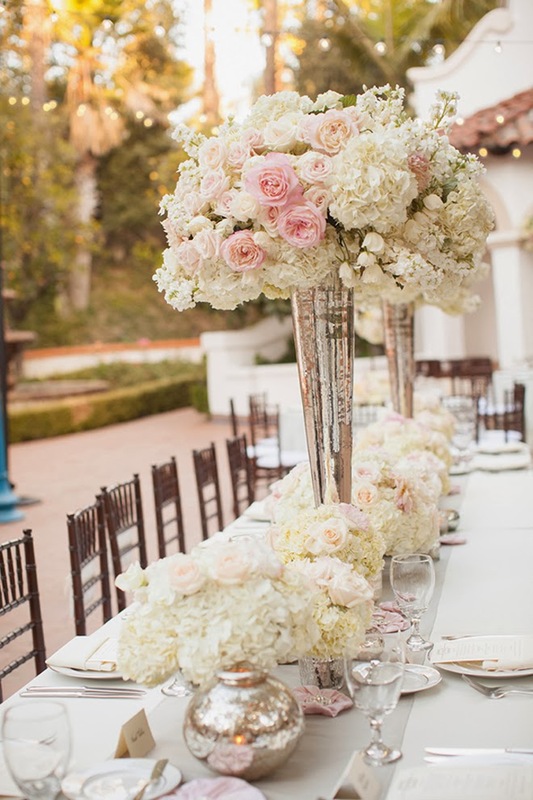 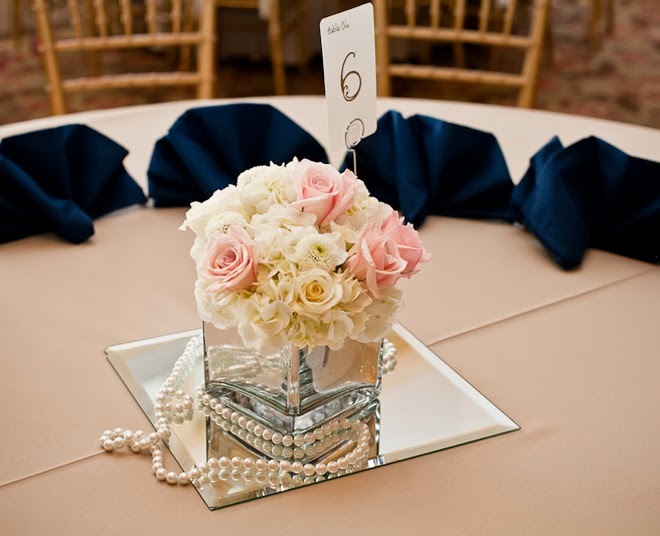 Photographed by Monica Salazar this blush and ivory centerpiece is here to prove it. 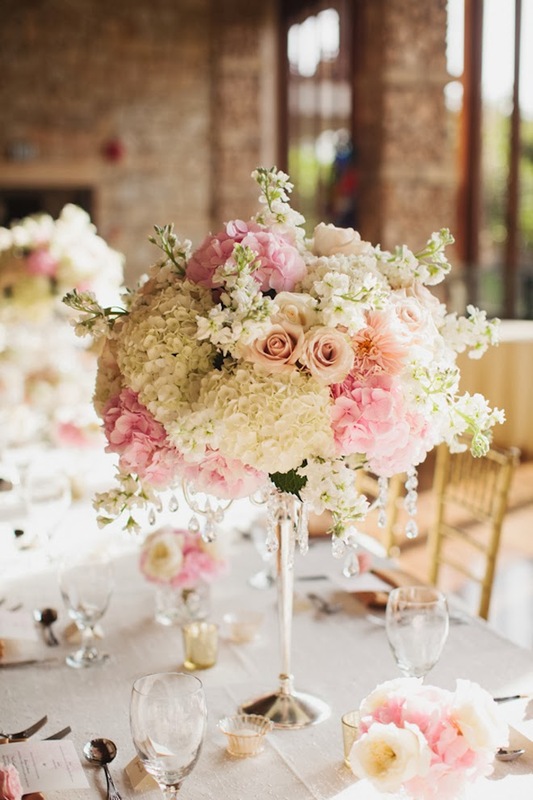 We invite you to stop by Romantic + Vintage Texas Wedding and see more of this gorgeous affair. 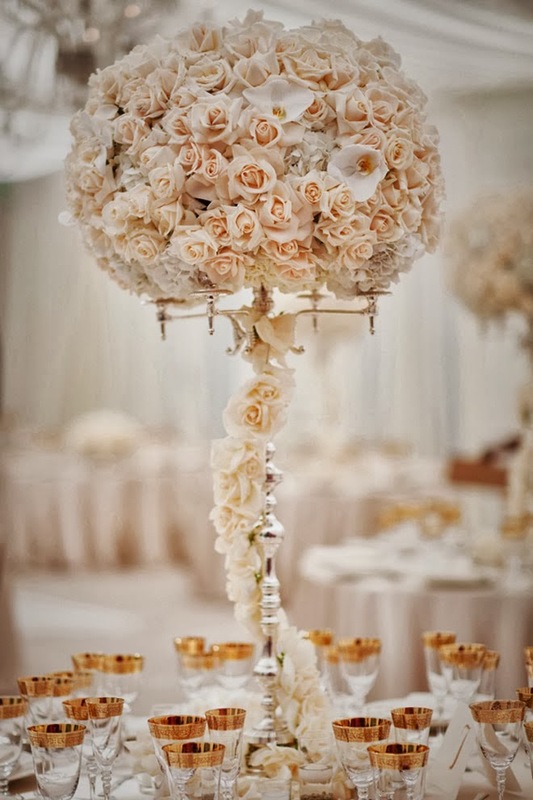 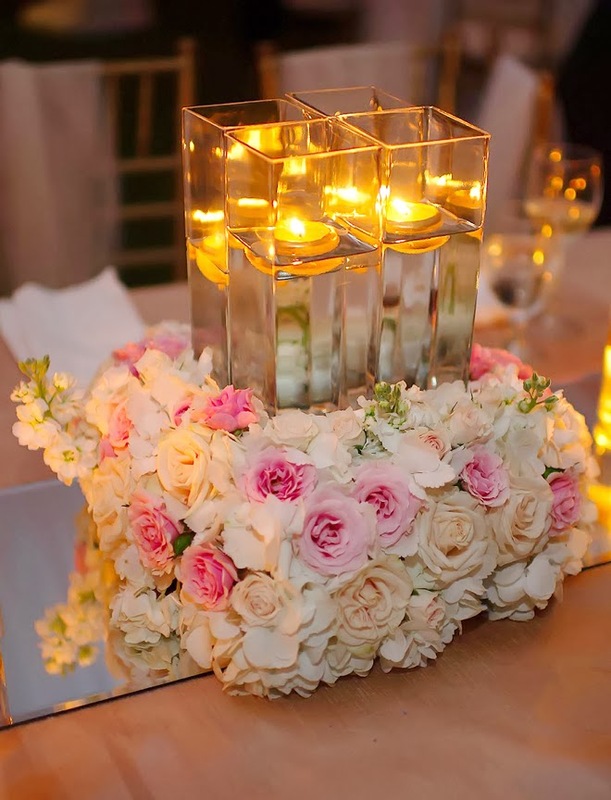 On my installment #19 of 12 Stunning Wedding Centerpieces I managed to bring 4 floral beauties that quickly became some of the most popular in 2013. 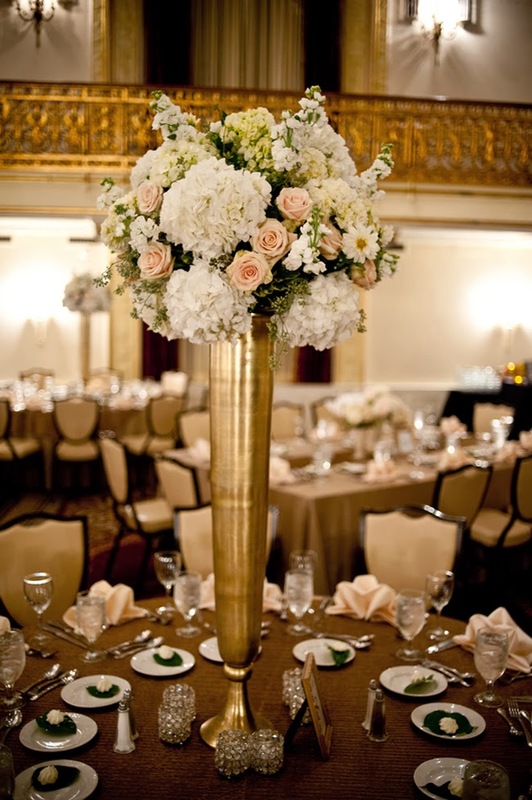 Tall centerpieces always manage to steal hearts. 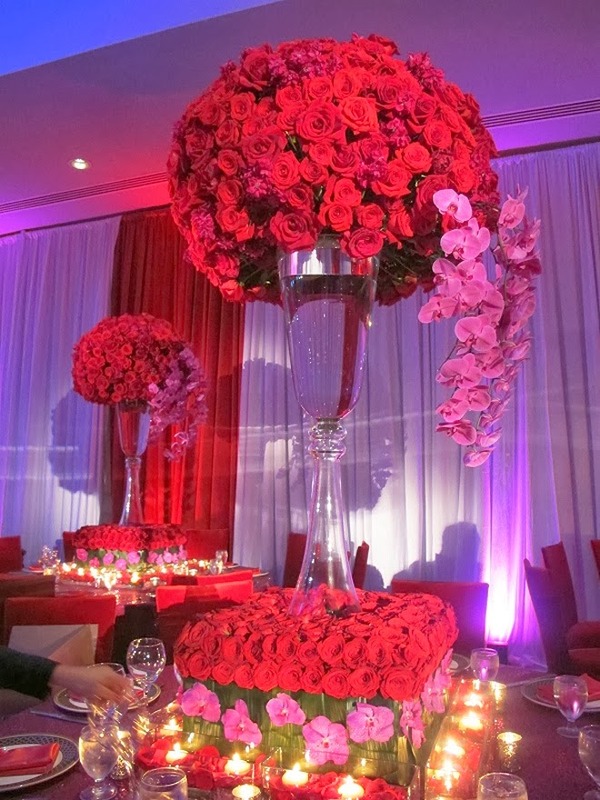 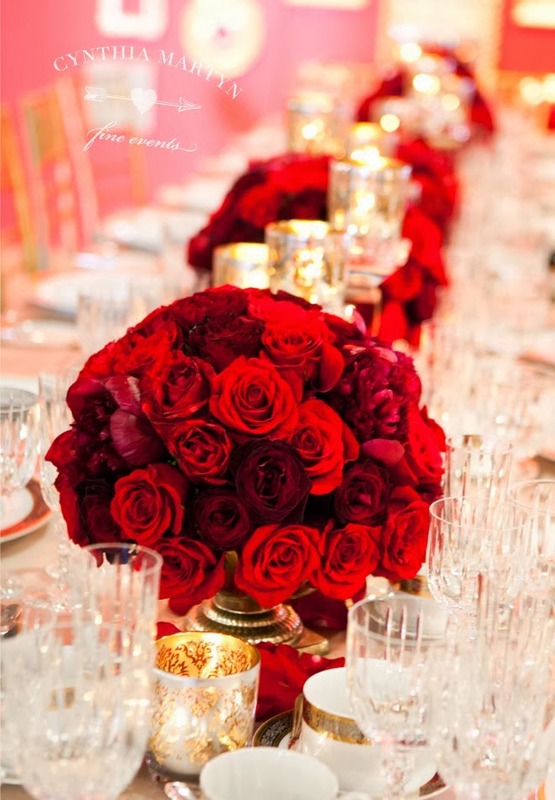 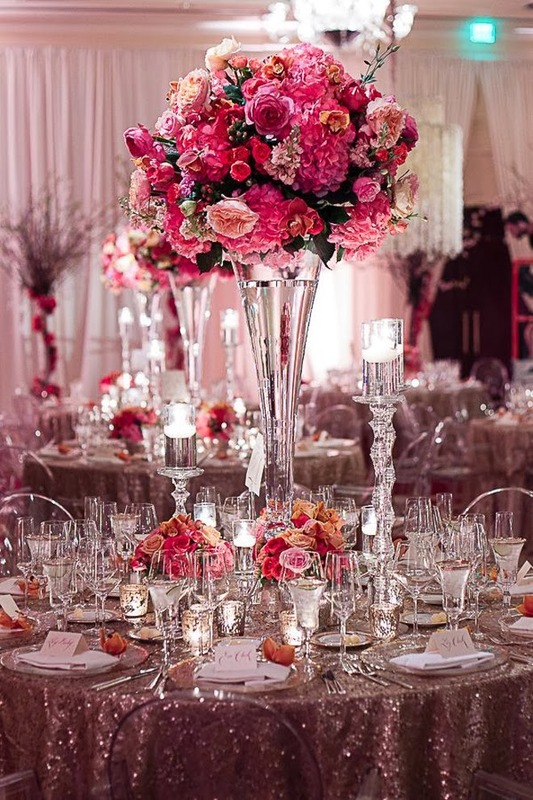 And these tall and beautiful floral arrangements that I brought you on 12 Stunning Centerpieces – Part 20 had the wedding world going bananas during 2013. 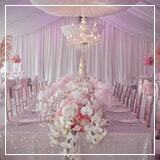 Every year Pantone, the “global color authority”, designates certain hue as the color of the year. 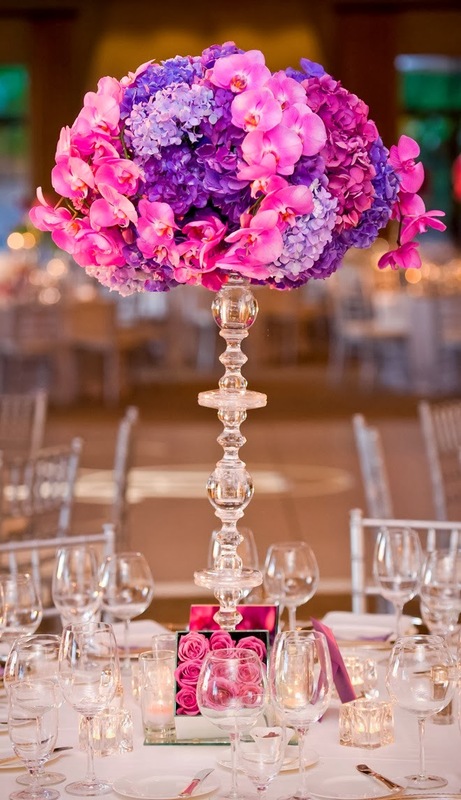 Pantone crowned Radiant Orchid as it’s 2014 Color of the Year. 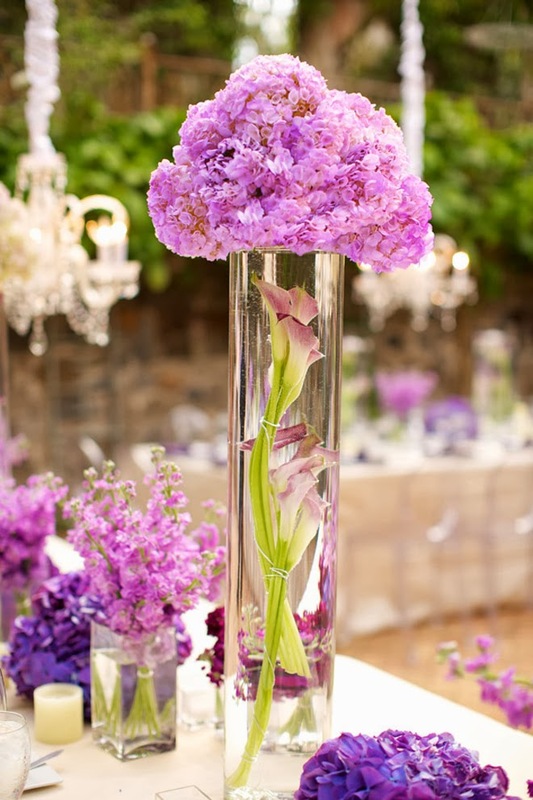 And I couldn’t be more thrilled with this pinkish purple hue. 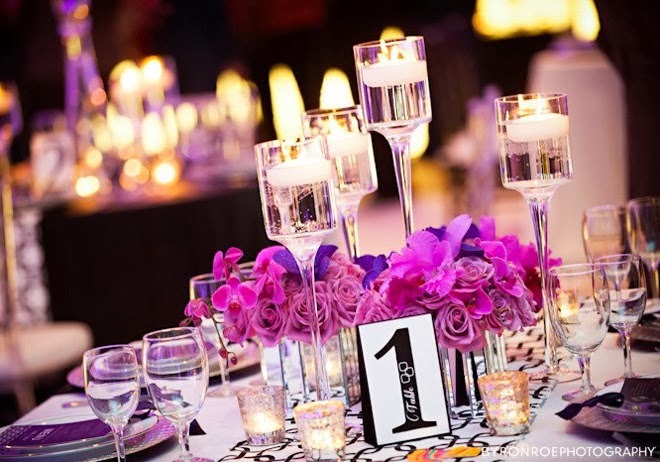 So, I on December I put together Pantone Color Of The Year 2014 : Radiant Orchid – The Ultimate Wedding Guide. 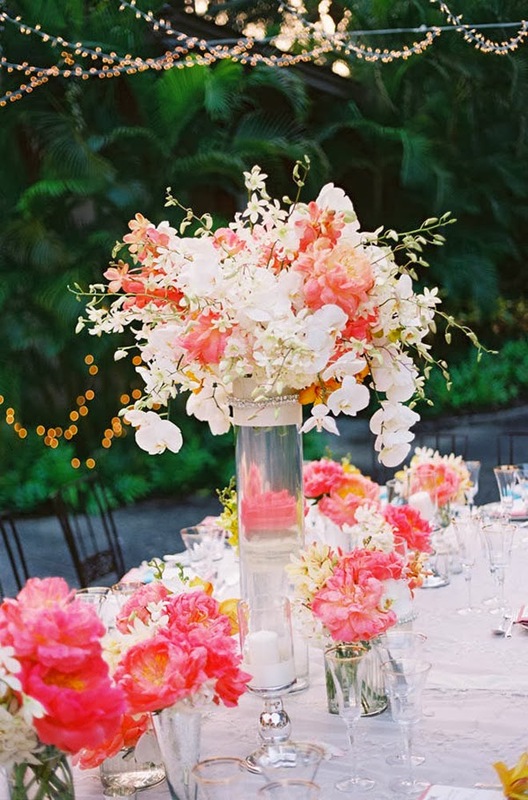 A popular post that placed this following centerpiece as one of your favorites of the year… I can totally see why! 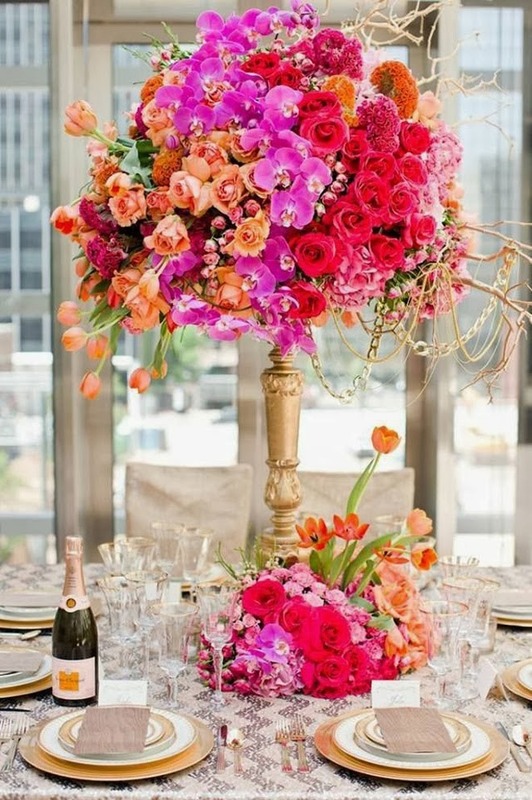 Our 21st installment of 12 Wedding Stunning Centerpieces features 4 jaw-dropping floral arrangements that stole my heart, and yours as well, on 2013. 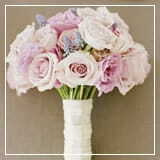 And last, but certainly not least! 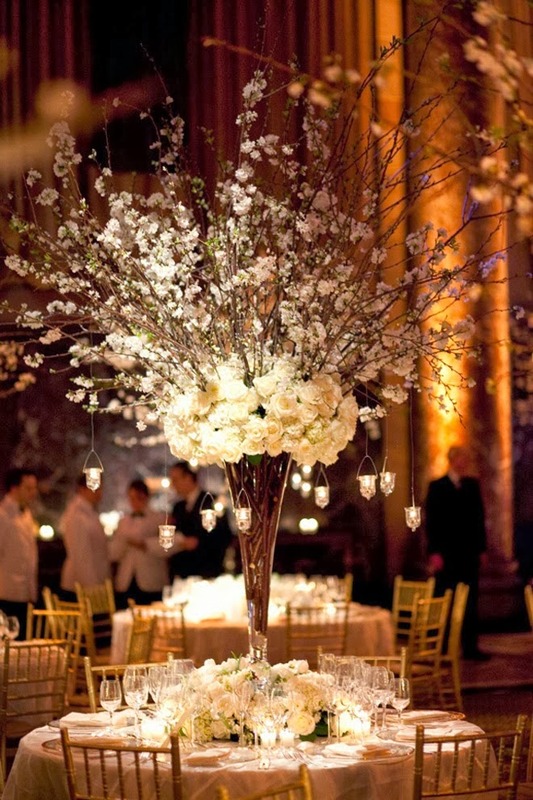 Here are the most popular florals from my latest issue of 12 Stunning Wedding Centerpieces. 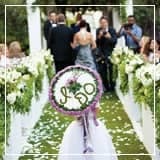 I invite you to stop by, the entire post is filled with the prettiest arrangements to inspire you to create the wedding of your dreams. 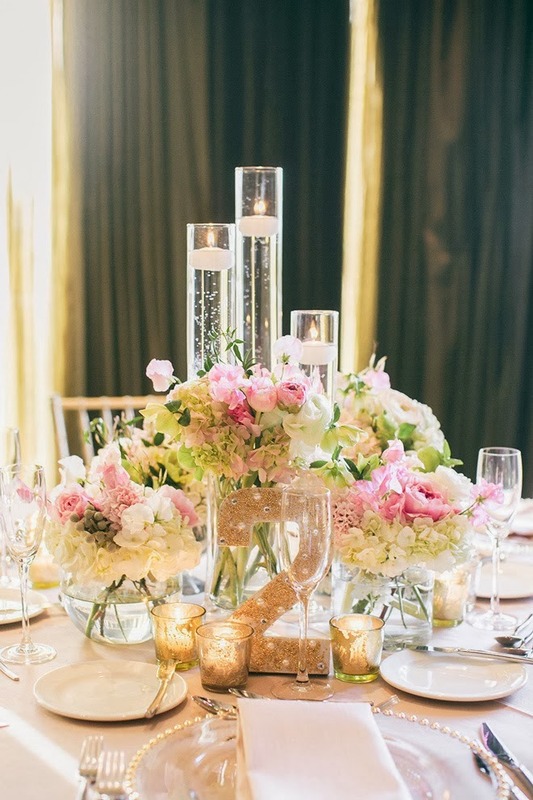 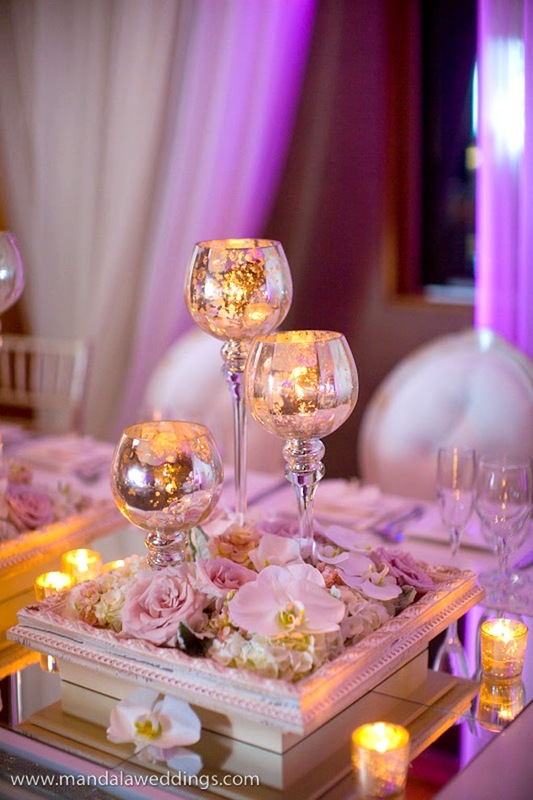 Click here to see more Wedding Centerpiece inspiration – you wont be disappointed, I promise!